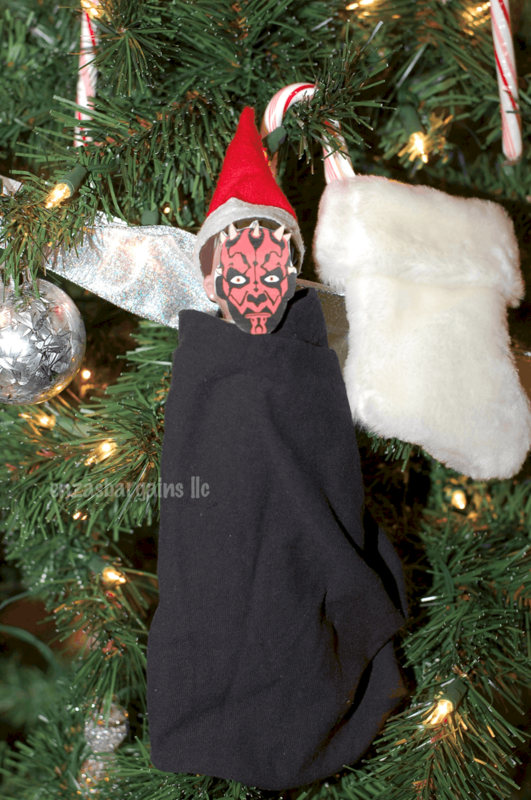 Elf on the Shelf Star Wars: FREE Printable & Ideas! 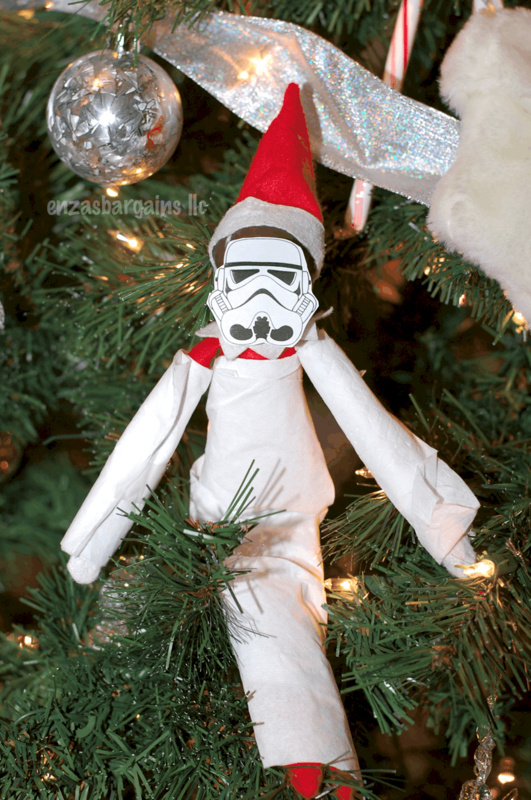 You are here: Home / Family / Elf on the Shelf Star Wars: FREE Printable & Ideas! 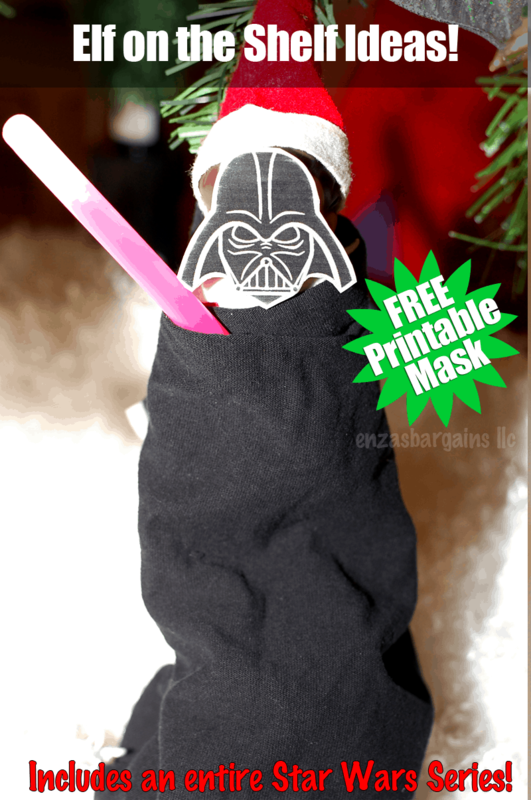 For Darth Vader you can use a glow stick or even a candy cane for the Lightsaber! I used some old black fabric for his outfit! Can I call it an outfit or a robe? Check out all of these Elf on the Shelf Star Wars Printable Set! I have Darth Vader, pictured above! 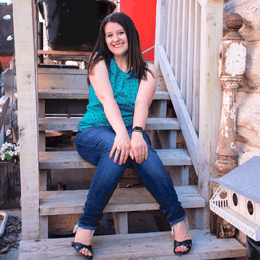 I found this on the Pinterest thread in Awesome Bloggers. These are so cute! 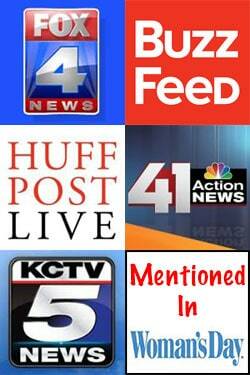 I shared it with my sister…she does Elf on the Shelf for her kids! I can’t find the link on this or any of your other elf mask pages. Can someone please help me locate them?? ?